We are your Canadian Web Hosting Provider! Check out our most popular hosting plans. See our plans for more details. If you see something missing, please contact us now. Secure your domain name online now. We’re your true Canadian Web hosting partner. Don’t leave your business to “unlimited” hosting companies. We guarantee resources and we don’t oversell. We don’t oversell any service or overload our servers. Guaranteed resources to all our customers. Don’t be fooled by “unlimited”. 100% Canadian support. No overseas outsourcing. Everything is run in house by Canadians. No escalation of departments. Hosting websites since 1997 and offer a wide variety of services with the latest software to your custom requirements. Completed the Contract Security Program from Public Works Canada. This allows us to host secure Canadian government contracts. We host clean sites and legitimate businesses. We have a zero tolerance for sites sending spam. Privacy is our utmost priority. Customer information stays private with us. A Real Canadian Hosting Company, really. We are proud to be a partner with Rogers Communications to house our servers and data. Rogers is a Canada Wide network of 15 data centres includes multiple Tier III Data Centres and the first Tier III designed and constructed Uptime Institute-certified Data Center in Canada. Key certifications include PCI DSS, ISAE 3402 Type II, SSAE 16 SOC 1 Type II and CSAE 3416 Type II certifications. Don’t be fooled by other companies advertising UNLIMITED hosting. "Dealing with your hosting site has been easy and efficient for us and has eliminated the worry of day in day out operations. Our customers having access to our web address for after-sales service is an essential part of our business and without the maintenance your company provides, we would not have been as successful." "Hosting.ca has been providing us service for years. Their professionalism and quick response time is absolutely wonderful and we wouldn't think of using another service. Keep up the excellent work." "Pacific Academy School has been a customer of Hosting.ca for over seven years. Currently we have our five websites on Hosting.ca that support over 2000 students, parents and alumni. Our experience with Hosting.ca has been nothing but positive, from the initial setup and installation to the day to day requirements." Start accepting credit cards for your business now. Beanstream supports Canadian and USD currencies from Visa, MasterCard, AMEX, Diners and Discover. We use Symantec SSL certificates for our security between our servers and your customers. SSL certificates increases search engine rankings and builds customer trust. We offer Canada Post shipping integration into your website. Getting real-time shipping quotes from Canada Post streamlines your business, and easily allows users to complete their purchase online. Your website is a large potential source of revenue. And without an e-commerce store online, this will be a struggle. 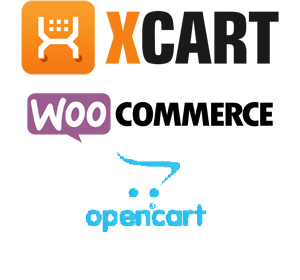 We build online stores with variations of shopping cart software. We take into account not just buying online, but taxes, shipping, after sales support. Canada Wide Hosting Services Inc.